Projects and Solutions – Civil Associates, Inc.
As a sub-consultant, Civil Associates, Inc. provided professional services related to environmental documentation and PS&E development for Super 2 improvements to SH 97 south of San Antonio, Texas. The project consists of widening and rehabilitation of approximately 57 miles of SH 97 to provide operational improvements with the addition of passing lanes and left-turn lanes. CAI reviewed and updated the environmental documentation for implementation into the project package. 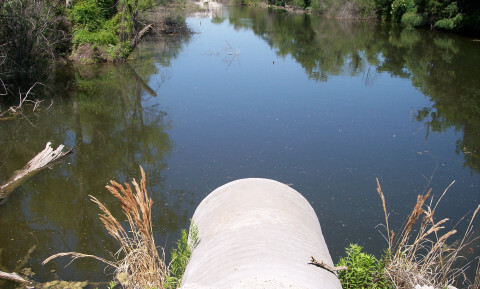 CAI prepared Storm Water Pollution Prevention Plans (SW3P) for incorporation into the PS&E package. 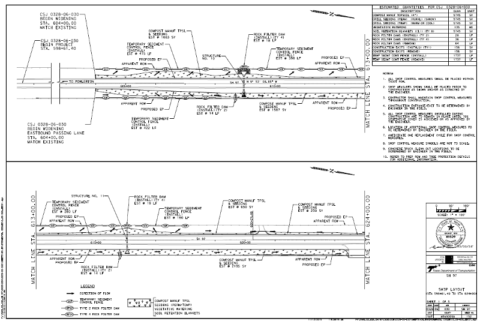 Civil Associates, Inc. provided professional services for the US 377 Cresson Reliever Route Study. The US 377 reliever route will improve mobility and reduce congestion in the vicinity of the SH171 and Fort Worth and Western Railroad crossings at US 377 in Cresson, Texas. The project included feasibility studies, alternative analysis, traffic analysis, design schematic development, environmental studies and documentation, and public involvement. The alternative analysis and evaluation matrix focused on six alternatives including the no-build alternative. 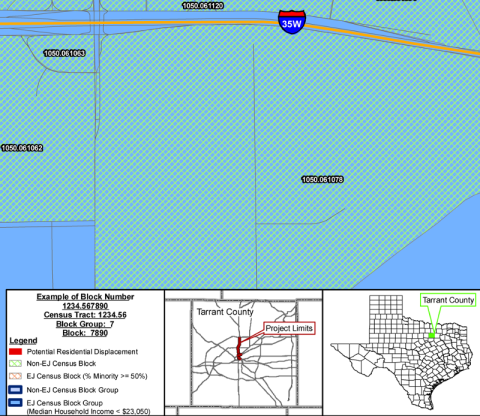 The preferred alternative, which was further developed through schematic design, consisted of a relief route running along the west side of the City of Cresson with grade separations at SH 171 and Fort Worth and Western Railroad. 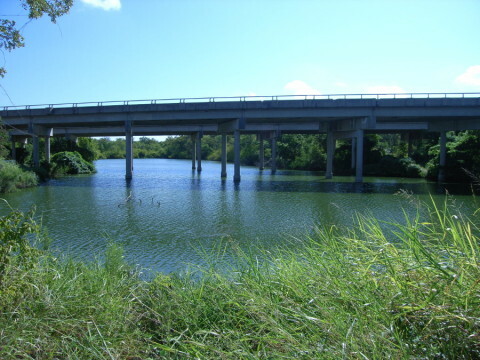 WETLAND DELINEATION – I-820 FROM NORTH INTERCHANGE AT SH 121 TO RANDOL MILL ROAD AND SH 121 FROM I-820 TO HANDLEY-EDERVILLE ROAD, NORTH RICHLAND HILLS, RICHLAND HILLS, HURST, AND FORT WORTH, TARRANT COUNTY, TEXAS. An Individual Permit (IP) application was prepared for the Dallas County Public Works and was submitted to the USACE . 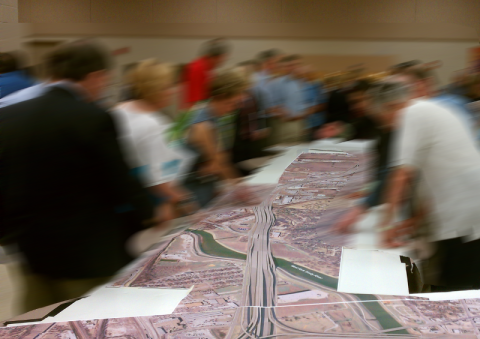 The IP application report provided the documentation required by the USACE Fort Worth District for Section 404 permits on the construction of the proposed project. The approximately 0.5-mile project is the reconstruction of the existing two-lane, asphalt, rural roadway and bridges to a four-lane divided, concrete, urban arterial and one larger bridge structure. 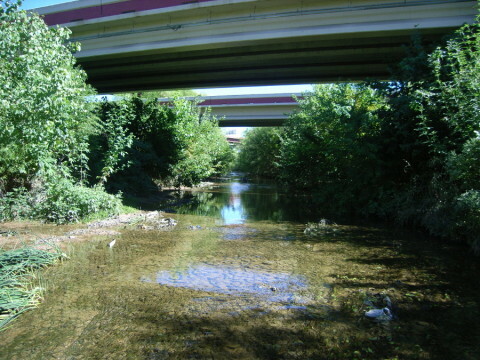 The application included the preparation of an IP, Mitigation Plan, Public Notice, and Decision Documents for the USACE, Tier II Water Quality Certification to TCEQ, and mitigation bank credits and cost coordination with the Trinity River Mitigation Bank. Civil Associates, Inc. conducted carbon monoxide (CO) modeling and mobile source air toxics (MSAT) analysis for two I-35W projects in Fort Worth, Texas in accordance with FHWA guidelines for roadways with 140,000 vehicles per day or greater. In both projects, CO concentrations for the Build Alternative decreased in the design year. MSAT results for the Build Alternative were slightly higher in the design year than for the No-Build Alternative; however, EPA's vehicle and fuel regulations, coupled with fleet turnover, will over time cause substantial reductions that, in almost all cases, will cause region-wide MSAT levels to be lower in the future. 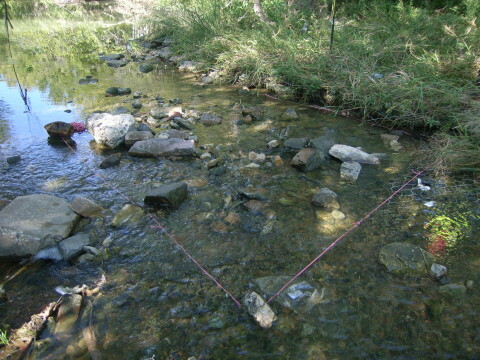 Civil Associates, Inc. conducted a qualitative freshwater mussel presence/ absence survey at six water crossings along I-35E from I-635 in Dallas to FM 2181 in Corinth. The surveys investigated the potential presence of mussels including threatened mussels identified by the Texas Parks and Wildlife Department for Dallas and Denton Counties (Texas heelsplitter ), (Louisiana pigtoe), and (Texas pigtoe). Six mussel species were discovered; however, none were state-listed species. For the Environmental Assessment of the proposed improvements to IH 35W from IH 30 to IH 820 in Fort Worth, Civil Associates, Inc. completed two State Categorical Exclusions for Early ROW Acquisition: One for acquisition of 3 parcels occupied by the Education Service Center Region XI facility and the second for acquisition of 6.6 acres of undeveloped land. 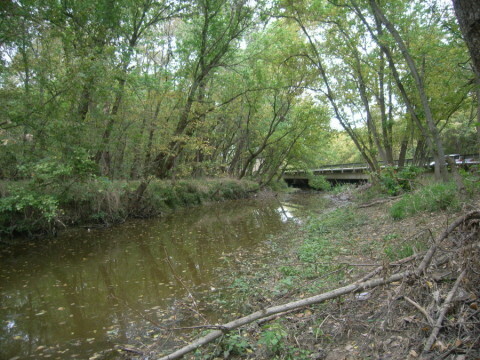 The owner of the undeveloped land was unable to sell the property due to its location within the 100-year floodplain, and the Education Service Center required months of planning and funding to construct a new location. By acquiring ROW prior to completion of the overall project's NEPA documentation, the financial hardship demonstrated by the property owners was alleviated. Civil Associates, Inc. prepared applications for a Corridor Development Certificate (CDC) and a Floodplain Development Permit (FDP) for Hanson Engineered Products relating to its building expansion project in the City of Grand Prairie, Texas. 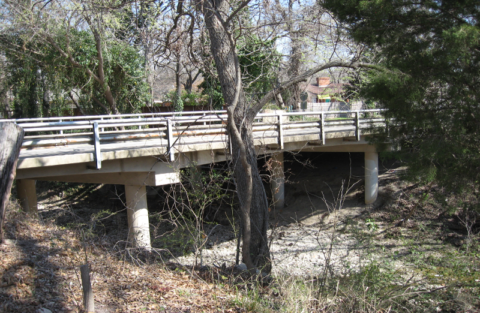 The building improvements are located within the FEMA 100-Year floodplain of the Trinity River Corridor, and therefore required a detailed assessment of the impacts resulting from the improvements in order to stabilize flood risk. CAI acted as a technical liaison between the City Floodplain Administrator and its client, Hanson Engineered Products. CAI coordinated efforts related to producing the pre-project and post-project hydraulic models as well as the technical report in support of the application submissions. CAI performed a 2014-2015 Traffic Operational & Capacity Analysis for this 6-lane, 11.8-mile commercial and residential corridor. This Study evaluated multiple signalized and unsignalized intersections, corridor mobility, geometric problem spots, and proposed $13M in Short Term and Long Term travel improvements. 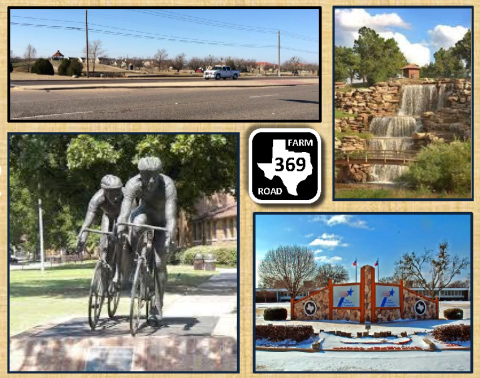 Evaluations included ancillary aspects and solutions involving ADA mobility, bike/pedestrian accommodation and safety, and the identification of sidewalk and trail installation locations that link the City of Wichita Falls Circle Trail System. 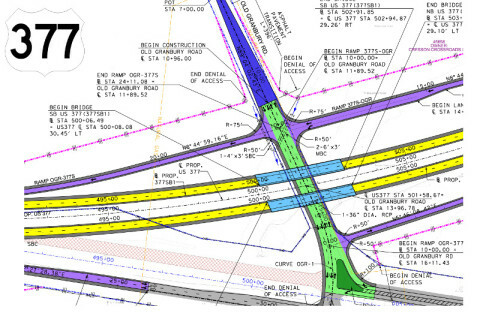 As sub-consultant , Civil Associates, Inc. (CAI) provided General Engineering Consulting Services for the IH 35 project from IH 635 to US 380. In accordance with the project description, CAI provided environmental studies (Section 404 permitting, mollusk surveys), document preparation (re-evaluations), and document reviews/oversight (Section 404 permits, noise studies, re-evaluations, etc.). CAI was involved with oversight, coordination, and participation in the Environmental Management System process and project meetings. As sub-consultant, CAI provided professional environmental services in support of TxDOT’s Strategic Projects office for the DFW Metroplex. Activities consisted of environmental studies such as noise analyses and Section 404 permitting. CAI reviewed numerous and various environmental documents and provided comments and recommendations. Also provided assistance in the Public Involvement process with property owners, general public, and various federal, state and local agencies. Copyright © 2019 Civil Associates, Inc.